Club Atlético de Madrid leatherette wallet, with banknotes, coins, cards and passport compartment, it has a pendant key ring. With velcro closure. 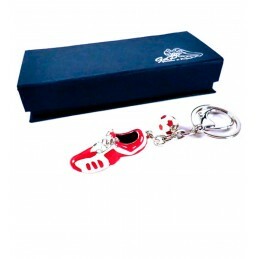 Atlético de Madrid soccer club licensed product.